Melissa Schuster was unloading groceries from her car one Saturday afternoon when a blue Altima backed into her driveway. Londale Madison got out of the car and asked Melissa for money. After she told him she didn’t have any money to give him, she went into her house and locked her door. But Londale was persistent. He knocked on the door, again asking her for money. And again, Melissa refused. That is when he pushed the door open and attacked her. 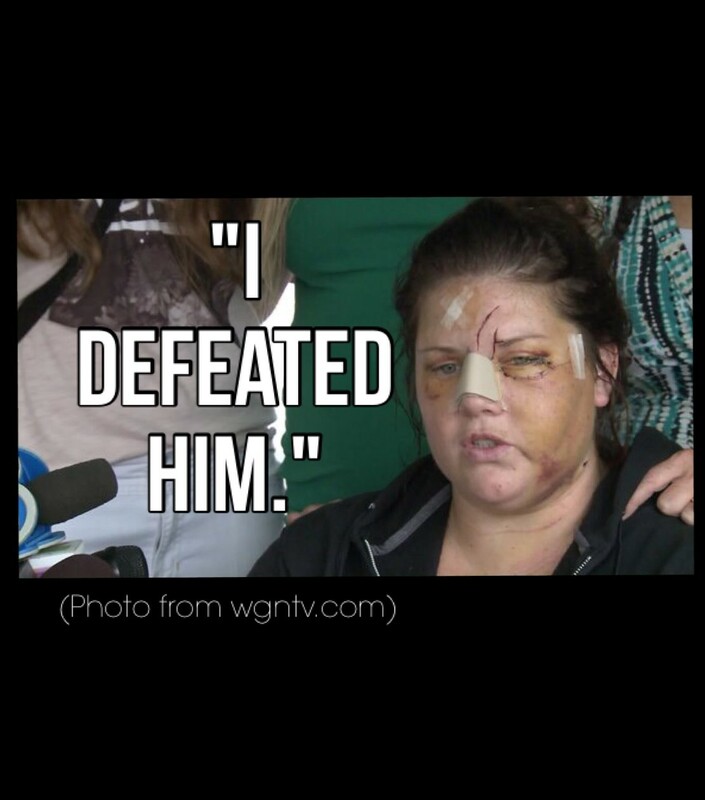 He hit her, forced her into the shower, raped her, and stabbed her 17 times. He then took her purse and her cell phone and left her for dead. “But then I told myself, ‘No, I’m not going to let this person overcome me.’” Melissa said. Londale was found, arrested, and charged with one count of attempted first degree murder, one count of aggravated criminal sexual assault, one count of home invasion and one count of armed robbery–all are felony charges. If he is found guilty on all counts, he will be facing a maximum of 120 years in prison. “I want to see him put away for a very long time,” Melissa said. And it is quite likely she will, as he has plead guilty to the crimes. Though many media outlets typically do not release the names sexual assault victims, Melissa has said that she wants her story to be heard, so that she might “make a difference in someone else’s life.” When she was released from the hospital a week after the attack, she spoke with press, saying that the hope of helping others is part of her healing process.